If you want to prevent disease and have a health body, follow Dr Budwig muesli. chemicals. They are no longer alive but dead oils that cause death to the user. They also are very tough (dead) oils in that they have a 20-year shelf life. These oils get into our cell membranes and destroy the electrical charge. Without the charge, our cells start to suffocate due to a lack of oxygen. 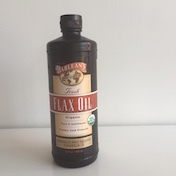 In her book “Flax Oil As A True Aid Against Arthritis, Heart Infarction, Cancer and Other Diseases on page 32, Dr. Budwig makes the following statement: “I often take very sick cancer patients away from the hospital where they are said to have only a few days left to live, or perhaps only a few hours. This is mostly accompanied by very good results. Dr. Budwig explained in her books that her healing plan works on improving the cells of the body. It doesn’t matter where the cancer is located or what name is given to your illness because the Budwig program addresses the basic cause of the illness in the first place. The lack of adequate oxygen in the body enables harmful viruses, fungus and parasites to live and enter the cells of the body causing a host of illnesses. Cancer is a virus and when it metastases it creates an ideal environment for fungus to also cohabit within the diseased cells. The flaxseed oil and cottage cheese enables the body to produce high doses of natural oxygen. Cancer cannot live in the presence of natural oxygen. So no matter where the cancer is in the body, the Budwig approach will be a tremendous complementary tool in the fight against cancer. Her program also helps with some 50 common illnesses. Even if you are not sick, taking this muesli every morning for 3 months, will bring oxygen to your cells and stop any inflammation in your body if any and avoid any major illness to be formed. How to prepare the Dr Budwig muesli. 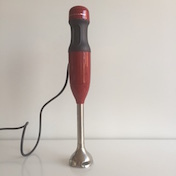 You need to buy a had-held immersion electric blender and a coffee grinder or ‘magic bullet’ blender. Blend 3 tbs of flax oil with 6 tbs Cottage cheese or Quark. Do not mix by hand use the blender and mix until you get a rich whipped cream, (one minute) with no speared oil. Separately, grind 2 Tbs of whole golden flax seed, in the coffee grinder or other blender, and stir into the creamy flaxseed oil and cottage cheese. 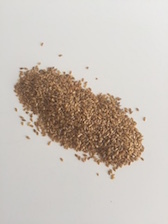 Note: Ground flax seed become rancid within 20 min, so eat the recipe immediately and do not grind or store seeds ahead of when they are needed. Do not make the mixture ahead of the time, you have to eat within 20 min of preparation. The flaxseed oil should be kept in the refrigerator. You can also add, organic raw honey (if you are not on a diet) and organic raw nuts, blueberries or any fruit you wish. It’s filling, it has about 530 calories, so it can replace your breakfast or lunch meal. Have this mixture once a day if you’re healthy for prevention and twice a day if you have any illness. I have been using this Muesli for 4 weeks and I’m impressed with the improvement I see in my skin, I noticed the sunspots are fading away and my skin is glowing!